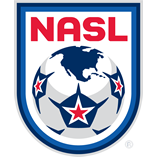 The North American Soccer League (NASL) unveiled its 2016 Best XI on Friday morning ahead of The Championship Final, which features this year’s two top teams – the New York Cosmos and Indy Eleven – at 7 p.m. ET at Belson Stadium in Queens, N.Y. on Nov. 13. Seven of the 11 players on this year’s list featured in The Championship, the league’s four-team postseason tournament, with four are still competing to lift the Soccer Bowl Trophy – three from the Cosmos, one from Indy. GK: Matt VanOekel (FC Edmonton) – The Eddies goalkeeper started 29 of the club’s 32 games, setting league records for most shutouts (16) and goals against average (0.55). He made 95 saves in 2016, while keeping a record of 15W-8D-6L, and earned a Player of the Month nod in August, earned Player of the Week twice, and was a member of the Team of the Week seven times. He also claimed the league’s Golden Glove Award. DEF: Ayoze (New York Cosmos) – The veteran defender was once again a consistent force on the left side for the Cosmos and played in 30 games (29 starts). Not only was Ayoze strong in defense, he contributed two assists and had a passing accuracy of 80 percent. He was also a member of the Team of the Week twice. DEF: Justin Davis (Minnesota United) – The overall leader in NASL appearances with 151, Davis was named to the Best XI for a third consecutive year. He started 31 games and won 165 duels, made 89 interceptions, and won 64 tackles, leading the Loons in each category. He also helped contribute in the attack with one goal and one assist during the year. Davis was named to the Team of the Week one time in 2016. DEF: Albert Watson (FC Edmonton) – He was in the heart of the league’s top defense, which conceded just 21 goals, and he appeared 27 times (all starts). Watson made 109 clearances and 74 interceptions during his action on the field and also won 105 duels. He also scored twice during the campaign and was on the Team of the Week four times. DEF: Carlos Mendes (New York Cosmos) – The Cosmos captain featured in 27 games (all starts) and marshaled the side’s back line. He made 90 clearances and 70 interceptions during the year and also had a passing accuracy of 89 percent. Mendes was on the Team of the Week one time in 2016, but this is his third straight selection to the NASL Best XI. MID: Nazmi Albadawi (Carolina RailHawks) – Captaining the RailHawks this year, Albadawi set a league record with 10 assists in 29 starts. Albadawi was second in the league in chances created (50) and further emphasized his contribution in the attacking third with three goals. Albadawi finished the year with a passing accuracy of 81 percent and was the Player of the Week once. He was also selected to the Team of the Week four times. MID: Juan Arango (New York Cosmos) – The Venezuelan led the Cosmos in scoring with 15 goals – tied for second best in the league. He also created chances for his teammates regularly with 44 and picked up seven assists, also tied for second-best in the NASL, in 29 starts. Arango was Player of the Month for October, Player of the Week twice and was also named to the Team of the Week 10 times. MID: Joe Cole (Tampa Bay Rowdies) – The English star’s season may best be remembered for a stunning bicycle kick, but Cole scored nine goals to go along with seven assists, tied for second in the league, in 24 appearances (23 starts). No player created more chances than Cole (57) during 2016. He was Player of the Week once and also made six appearances on the Team of the Week. MID: Michel (Rayo OKC) – The veteran midfielder finished off 2016 with 14 goals in 27 starts and showed his composure, scoring seven goals from penalty kicks. His goalscoring was crucial in the final month of the Fall Season, finding the back of the net four times in the final five games. Michel earned Player of the Week honors twice and was named to the Team of the Week five times this year. FWD: Christian Ramirez (Minnesota United) – Always an attacking threat, Ramirez led the league in goals with 18 in 2016. He started in 30 of his 31 league appearances and had four assists with 34 chances created during the campaign. He earned Player of the Month honors in July, was named Player of the Week twice, and was also on Team of the Week eight times. FWD: Eamon Zayed (Indy Eleven) – He took the league by storm in his first NASL campaign, earning a pair of hat tricks and scoring 15 goals – tied for second in the league – overall in 31 appearances (30 starts). Zayed also added six assists. He scored one of the most memorable goals in Indy history, which helped clinch the Spring Season title. Zayed was Player of the Month in June, Player of the Week three times, and was on the Team of the Week three times.